» The Best Hiking Trails in Gatlinburg That You Need to Know Of! Hiking is one of the last true outdoor experiences we have without the burden of technology distracting us. Sure, hiking can be beneficial with such items and even made better, not to mention safer, but some people just want that true connection with nature and the grizzly outdoors, a feat hard to accomplish in our digital age. Hard, yes, but not impossible. Not even close, considering all the well-maintained trails and sites there is to offer in a place such as Gatlinburg, Tennessee which is compiled of trails and views that are truly unique to this part of the world. Outdoor enthusiasts come in all shapes, sizes, and ages. This, of course, prompts some to prefer shorter hikes over longer ones and that’s just fine. Short hikes can offer the beauty and serenity that long hikes offer, without all the extra exercise, food, and water needed to replenish the body of vital nutrients. We’re not saying skip the water, or food for that matter, but for those choosing shorter trails over longer trails, there simply isn’t a need for as much gear. If this sounds familiar or attractive, take a look at our list below, which details our recommendations for the best short hikes in Gatlinburg. 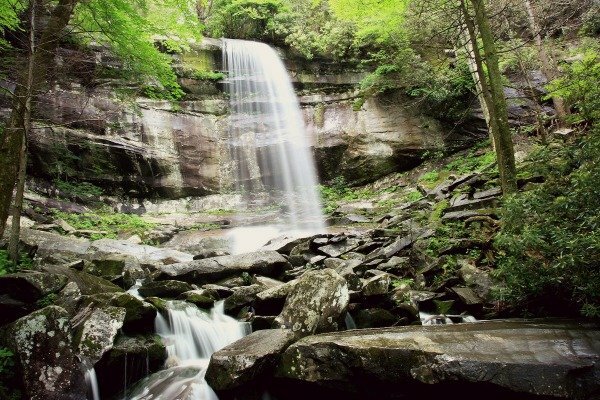 Despite a possibly confusing name, there won’t be any obstacles to obscure the precious views and beauty of Cataract Falls, located just ten minutes outside downtown Gatlinburg. 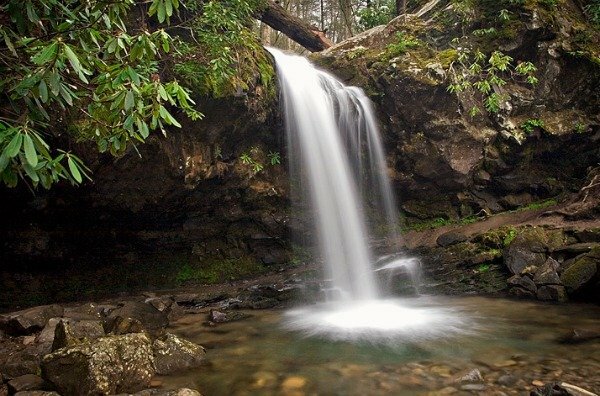 With beautiful, flowing creeks and even prettier, cascading waterfalls, this is a great trail to see some of the untouched nature of Gatlinburg without putting in too much effort. The trail to Cataract Falls is a short one, only about ¾ of a mile, so hikers with children or large families will find this suitable for all experience levels without the worry of not experiencing the true wilderness that Gatlinburg has to offer. The many bridges running over Fighting Creek will attract many, inviting some to simply stand and take in the sounds and sites of nature, but these are only pitstops to the real grand attraction. Cataract Falls itself, comprised of two low-flow streams, is the real and most memorable destination on this trail. Climbing around the falls is forbidden and, even in hot summer months when there may be little to no water, can be dangerous. Because of its tendency to be dry in hotter months, it is most awe-inspiring following rain, especially if that rain is heavy. Another easy yet beautiful trail in Gatlinburg is the Metcalf Bottoms Trail, a hike featuring a large natural canopy that will provide plenty of shade, making it a great hike even during the hottest parts of the year. Located less than ten miles from downtown Gatlinburg, this trail is a short drive away from the heart of the city but will be quiet enough to get away from society for a nice break from all the commotion. The natural plants and wildlife on this trail cover a terrain that consists of a lot of ups and downs. Essentially, even though it’s only a 1.2-mile round-trip, the constant ascents and descents may be a challenge for some, but it is still a nice trail for most experience levels. The canopy and wildlife are great on this trail, but they definitely aren’t everything it has to offer. At the end of the trail is a small log cabin, once used as a small school and church for more than half a century, and is open for touring. It is an excellent site for anyone interested in the history of the area and even boasts an original blackboard and school desks, something we think most hikers will appreciate. Another trail boasting an impressive waterfall in the Gatlinburg area is Grotto Falls Trail, a unique and short hike perfect for all experience levels. The hike to Grotto Falls is entirely uphill, but the elevation gain isn’t too bad, especially since the hike back is all downhill. Hikers get some nice exercise before admiring the beauty of the falls for as long as they want, then get to stroll back down to the entrance casually. Now that sounds like a great afternoon adventure. One of the best experiences about this hiking trail is not the waterfall itself, but the trail in which hikers get to view it from. This is because the trail extends past and behind Grotto Falls, offering a rare glimpse from the back of the falls, something most waterfall trails just can’t produce. This unique trail is one of the longer trails on our list of short hikes, but at 2.6 miles round-trip, it’s still relatively short and shouldn’t take anyone over three hours, unless they want to, of course. After all, the natural beauty may keep hikers there for some time, especially from the vantage point behind the falls. Some may even want to plan a picnic, although we recommend not eating behind the falls. Nobody wants a soggy sandwich. It seems Gatlinburg is filled with waterfalls, all of which are unique, and Laurel Falls Trail is no different. This trail one of the most popular in Gatlinburg and for a good reason. Laurel Falls is a magnificent 80-foot waterfall, and it doesn’t take a long hike to see it, just 2.3 miles all in all. The elevation gain may be high for some at 314 feet, but it tends to be gradual and not so steep. For this reason, hikers with young children may want to avoid it or come back at a later date. 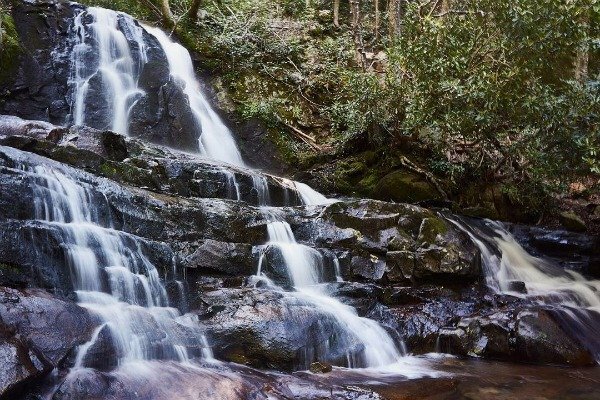 Even though most will say this trail takes, at most, two hours to conquer, most hikers spend much more time than that taking pictures, breaks, or just admiring the one-of-a-kind Laurel Falls. Initially built in the 1930s to make way for firefighters fighting forest fires, it has evolved to be much more than that, even garnering enough traffic to justify it being paved. Not many trails can say the same. Nothing against short hikes, as they can offer just as magical views as extended hikes, but some outdoor adventurists want more. Whether that’s more exercise, more chances to catch a glimpse of unique wildlife, or just more time on the trail, Gatlinburg has plenty of options to satisfy this common thirst for nature. 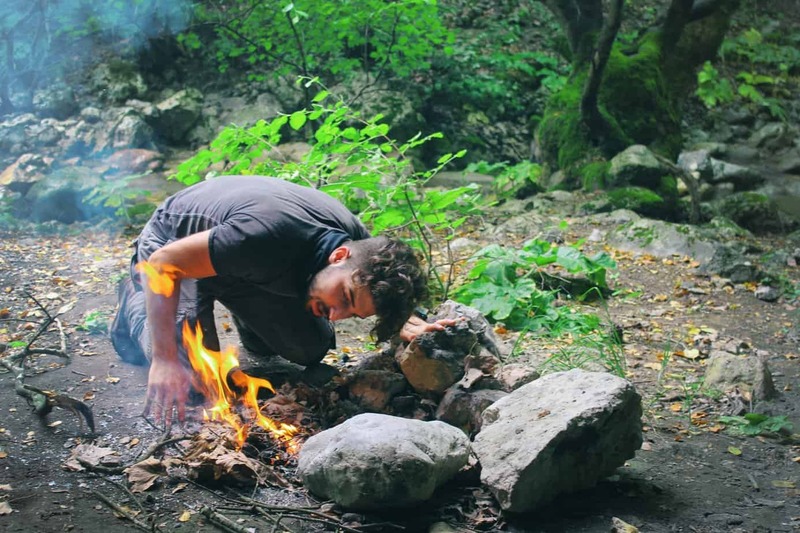 Just take a look at our recommendations below and those who love longer trails might find the perfect match for their style of outdoor trekking. 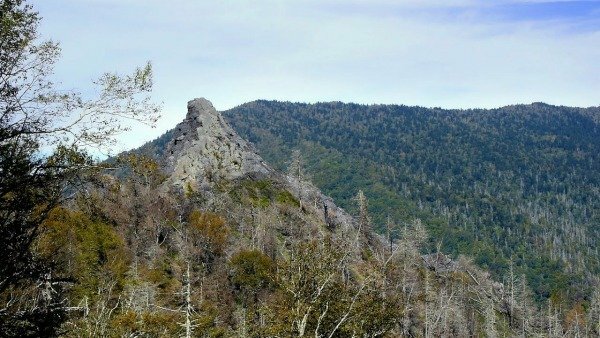 Chimney Tops Trail, located about 7 miles south of the Sugarland Visitor Center, may not seem too long of a distance at 3.7 miles, but its steep elevation gain will have even the most experienced hikers taking their time and trying to catch their breath. Speaking of losing breath, the views on this trail are just that, breathtaking. 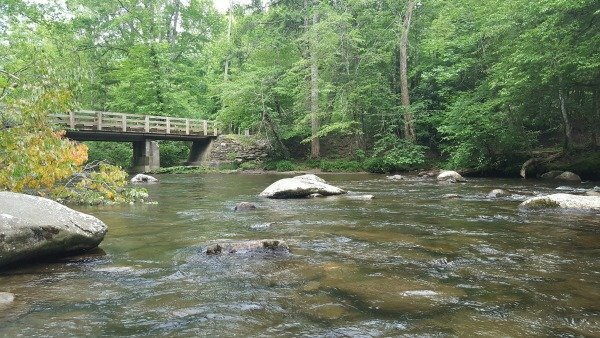 The views and sites along the Chimney Tops Trail include the West Prong Little Pigeon River, along with the two creeks that collide to form a said river, not to forget many other unique experiences. Hikers who brave the steep inclines can also find the vastly open area known simply as the Beech Flats, which will provide plenty of peace and quiet while overlooking the wild plants and animals that thrive in the area. Toward the end of the trail is where things can get…slippery. The ravine that hikers will be coming across is deep, so utmost caution is not only recommended but mandatory. As dangerous as this may sound, most hikers find it more than worth the risk. At the top, once the dangers are in the past, hikers are rewarded with views of several mountains, including Sugarland Mountain, Mount Mingus, Cove Mountain, and Mount LeConte. That’s a lot of peaks to view from a single vantage point. Perhaps that’s what makes this trail so popular. 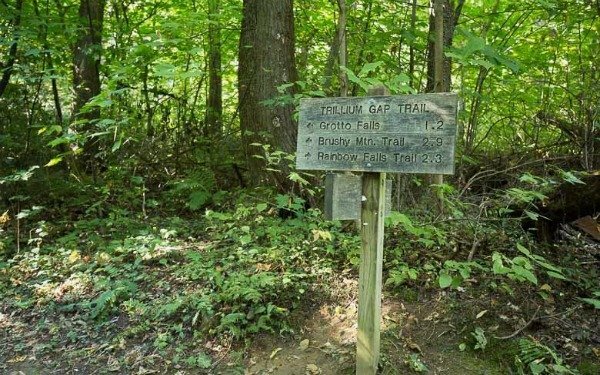 One of the longest, most challenging hikes on our list, the Trillium Gap Trail is well worth the almost 14 miles it takes to conquer. With the extreme distance, as well as an elevation gain over 4,000 feet, this trail isn’t for everyone. In fact, we recommend less experienced hikers to take on some shorter hikes first, building more experience and a steady understanding of the great outdoors before attempting this feat. That’s not to say it’s only for extreme hikers, only that it is one of the toughest trails in Gatlinburg and it shouldn’t be misjudged. Bring plenty of water and food. Also, because of its long distance, camping for a night along the way might be the best bet to beat this trail without suffering any serious side-effects. The Trillium Gap Trail may be tough, prompting hikers to be smart and equipped with plenty of gear, but its beauty is almost unrivaled. Featuring waterfalls, streams, pristine wildflowers, and an overall experience that just screams, “Nature,” this one won’t be soon forgotten. It even connects with one of the previously mentioned waterfalls on our list of short hikes, Grotto Falls. The prime site to see on the Trillium Gap Trail comes, not surprisingly, at the very end. Hikers who are determined enough to make it this far get to experience the summit of Mount LeConte, which stands tall at an impressive 6,594 feet. That’s more than a mile high. The view from this high up is truly remarkable, reserved for only the toughest and most persistent hikers. Another long hike that centers around Mount LeConte is the ever popular Alum Cave Trail. The name says it all, presenting many caves and hideaways along the way, all different and unique from the last. This trail, like the Trillium Gap, is not for the faint of heart, recommended for those looking for extreme conditions but also those seeking spectacular views. The distance of this hike is about 11 miles, not exactly a quick trip. Some can finish it in as little as 8 hours, but most will take longer, especially if they like to take pictures or bask in the beautiful outdoor wilderness of the Great Smoky Mountains. Elevation will play a challenging part here, as the trail itself starts at over 3800 feet and ascends to over 6,500 feet at the summit of Mount LeConte. 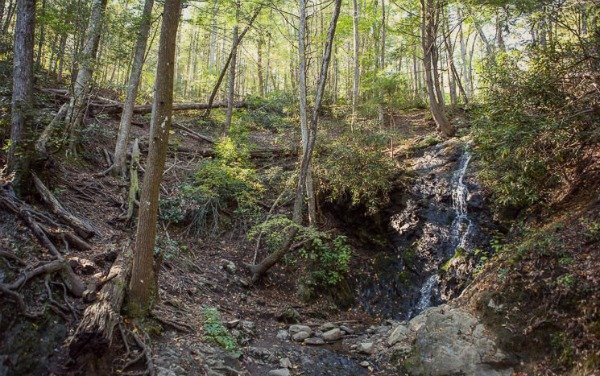 Just like with the Trillium Gap Trail, if they make it to the top, hikers will be rewarded with a vantage point consisting of both grandeur and rare beauty. 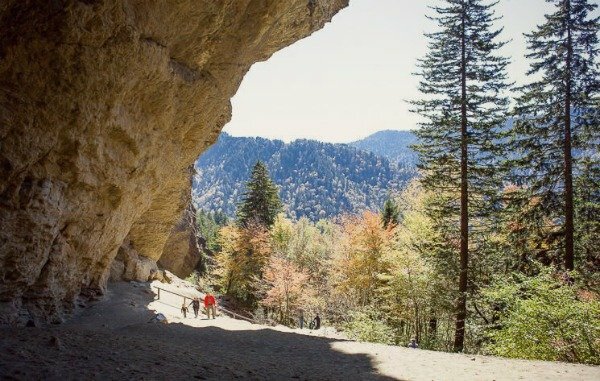 The Alum Cave Trail has many memorable and exclusive experiences, a favorite of which is Inspiration Peak, which offers a one-of-a-kind panoramic view of the surrounding landscape. Another amazing sight is Arch Rock, a rock formation taking the form of an arch and made up of black slate, made passable by handrails and stone steps. That alone makes this hike worth it but, as stated previously, the real gem lies at the end of the trail, offering views most never see in a lifetime. We couldn’t possibly complete a list of long hikes without at least some waterfalls present, and that’s precisely what you get with the Ramsey Cascade Falls. It’s an 8-mile round-trip hike, enough of a distance to give hikers a good exercise while not overwhelming them and can be completed in under 6 hours. Having said that, it’s still smart to bring plenty of water, as everyone’s body is different and will need varying amounts to keep them safely hydrated. Ramsey Cascade Falls and the trail on which to witness its majesty is filled with lush forests, unique wildlife, and plenty of streams and rivers to keep both the casual hikers and extreme wanderlusts busy and happy. This trail has a pretty intense elevation gain, a total of just under 2200 hundred feet, making it more geared for either experienced hikers or those ready for a challenge. The views, however, are well worth the extra work. The pinnacle of this hike, yet again, lies at the end. 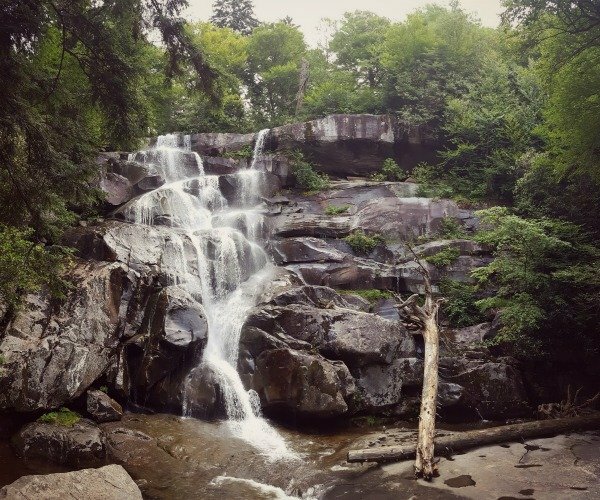 After the tough incline, gorgeous views, and a few well-advised pit-stops to hydrate and take in the surrounding wilderness, hikers are rewarded with the beautiful Ramsey Cascades, which descend from a height of 90 feet. This view is unique, not only to Gatlinburg but adventure seekers around the globe. Sure, there are larger cascades to be found, but sometimes life is about appreciating the little things. Another trail involving an amazing waterfall is Rainbow Falls, a feat of geology and erosion leading to a one-of-a-kind experience. Rainbow Falls stands tall at an impressive 100 feet, a fact that sets it apart from most other falls in the park, but the glorification doesn’t end there. On the way up to witness the awe-inspiring Rainbow Falls, hikers will face a 5.4-mile round-trip, not exactly an easy walk in the park but this is, after all, a list meant for longer hikes. Once at the falls, whether ready to take on the next adventure or just relax in the present, most hikers will not be disappointed, especially considering the sheer magnitude of the peak at which they get to celebrate upon. Good hiking or climbing shoes and boots are recommended for this trail, simply because of its age, which makes it one of the oldest trails in the park. Because of this, the trail isn’t even most of the time, and can even be rocky quite often.